A culmination of Ellis’ work over ten years, of a life well-lived and the songs that it inspired. Recorded over the span of six months in 2012-13, the album was engineered at Garey Shelton Studios and mixed by Justin Armstrong (Dave Matthews) at Robert Lang Studios in Seattle. Ellis brings together some of the best studio musicians in the Seattle area, with his band, “The Hopeless Sinners” featuring Ben Smith (Heart), Garey Shelton (Jesse Colin Young), Terry Lauber, and John Morton. Filled with songs of triumph, failure, and ultimately an appreciation of all the twists and turns we follow on our journey, the message on this CD is clear: it’s not always a straight line from point A to B, but it’s usually one hell of a ride. The Hopeless Sinners is Dave’s outlet for his original material. 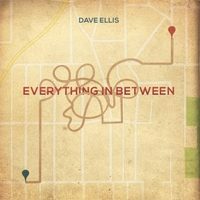 Dave’s songs range from down home folk/americana to funky and soulful R&B. Somehow it all comes together to form an undeniable groove, held together by Dave’s vocals and the incredibly talented musicians he plays with.